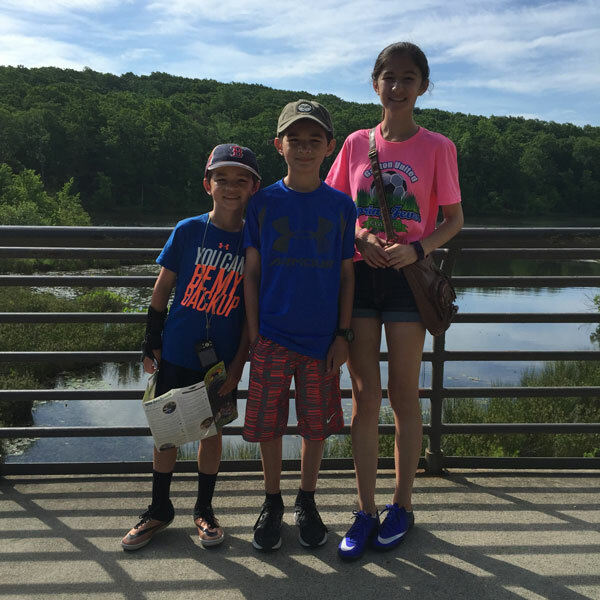 Today is Mother’s Day and to celebrate the kids and I took my wife to the North Carolina Zoo. 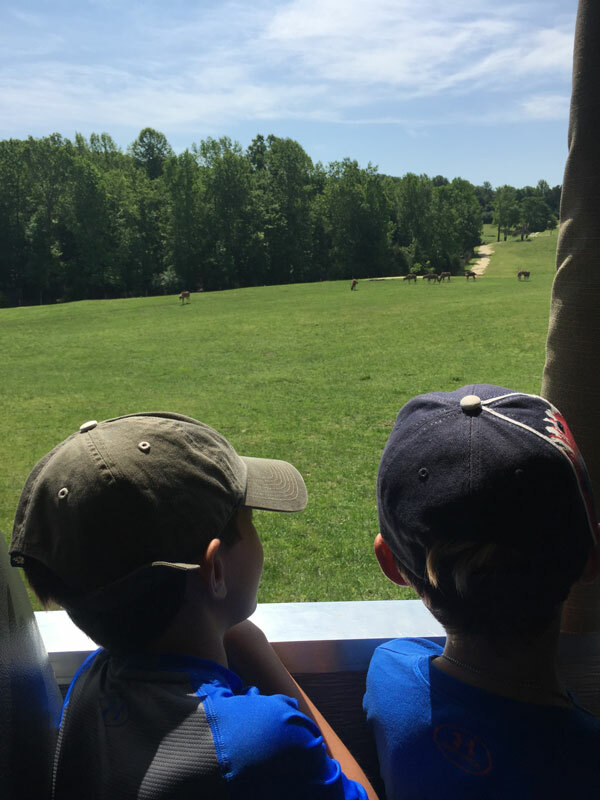 Living outside of Raleigh, our family is super fortunate to have access to world-class benefits like the North Carolina Zoo which is located in Asheboro, North Carolina—just a short 90 miles away from our home. 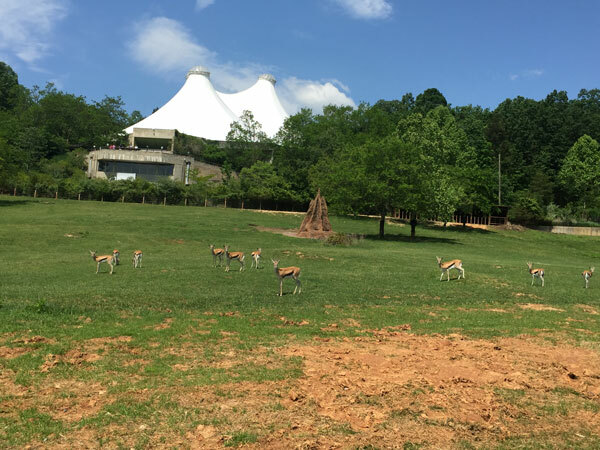 The zoo is the largest “walk through” natural habitat zoo in the world! We were very excited to enjoy a gorgeous day out after all the rain we’ve been having lately. We arrived shortly after it opened at 9:00 AM and were super psyched to see that the Zoofari feature was finally open! 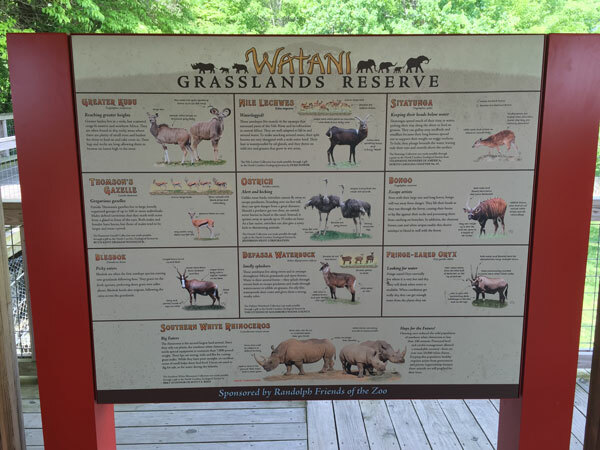 Zoofari is an “African Wildlife Adventure” that features an exclusive tour of the 37-acre Watani Grassland exhibit. This new feature in the African part of the zoo just opened a week ago on May 1st! 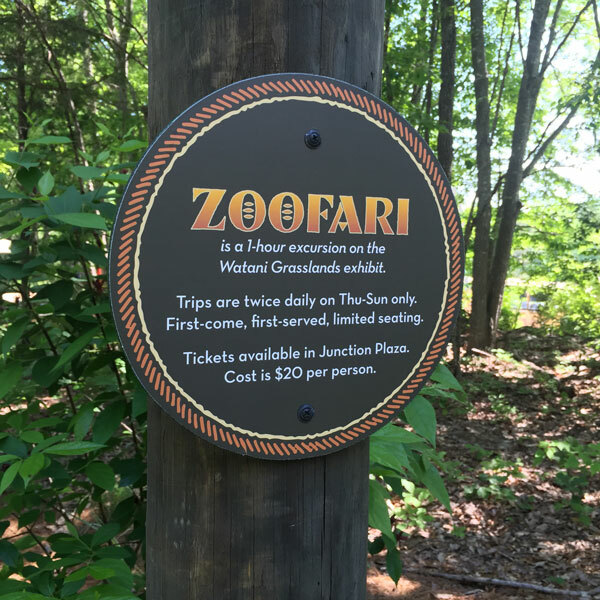 The tickets for Zoofari are on a first-come, first serve basis and there are only two tours per day so it was important for us to beeline to Junction Plaza where the tickets are sold starting at 9:30AM. We purchased our tickets and got 5 of the last few seats available on the first tour. Tickets are $20 per person. We were told to line up at 10:30 for a 10:45 bus ride to the Zoofari entrance. We had about 45 minutes to kill so we explored parts of the zoo around Junction Plaza: Chimpanzees, Baboons, the Aviary section, etc. At 10:20 we headed back toward the line for the bus and discovered that the first bus was already filled and was departing for the entrance. 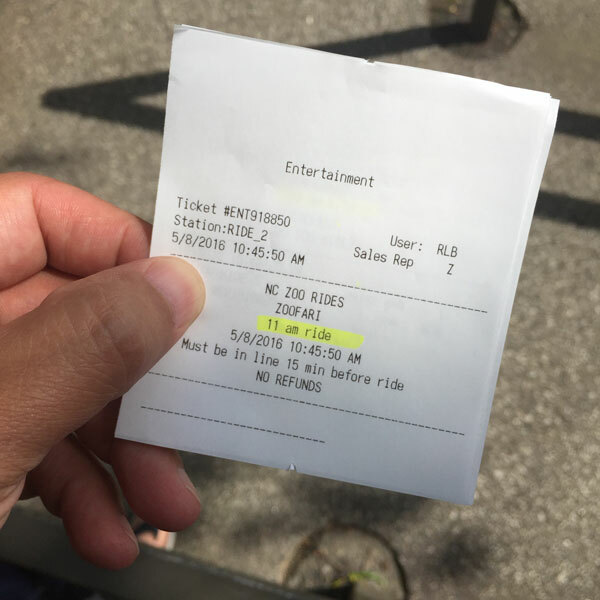 That was a little nerve wracking and the lack of alignment between the instructions told to us at the ticket window, what as written on the ticket, and what really happened is probably due to the fact that this feature is still very new. We missed the first bus but caught the second one. As we waited in line for the bus they announced that Zoofari had sold out for the day. 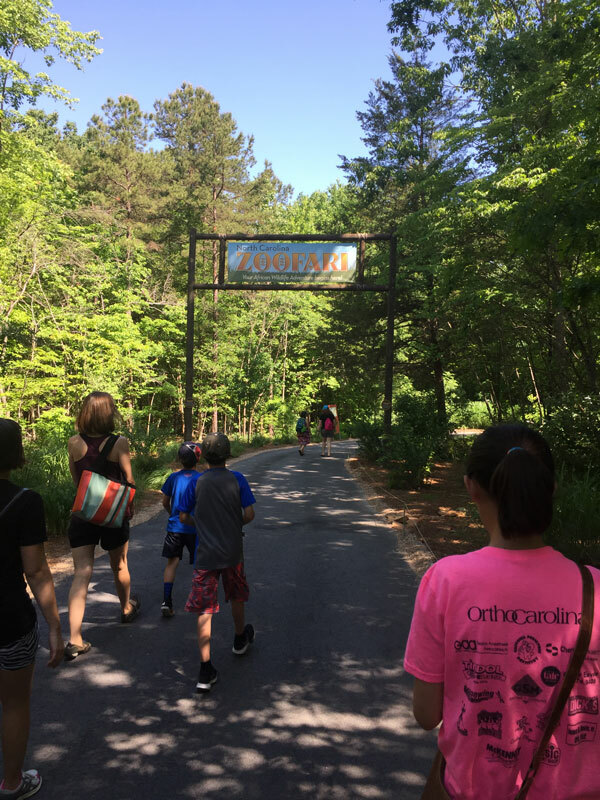 After a very short bus ride, we walked up to the entrance of the Zoofari feature. There are instructional signs along that path so I imagine eventually the entrance will be open to the general public and you will be able to purchase tickets there instead of the Junction Plaza entrance. After a short introduction by our tourguide we boarded the vehicle. Here is a video of the boarding process. 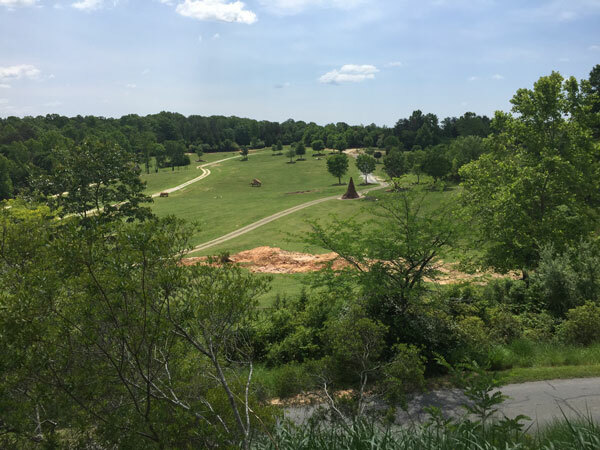 We were told to make sure to stay within the guideposts to protect ourselves from rhinos. That’s comforting! LOL. We boarded single file onto the all-terrain vehicle starting in the back. The tour guide gave the tour from the back of the vehicle. 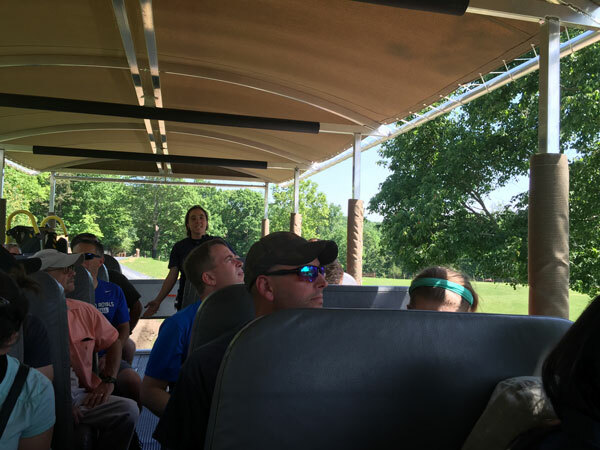 Each tourguide is a zookeeper from the zoo so we got very great and educational information during the tour! 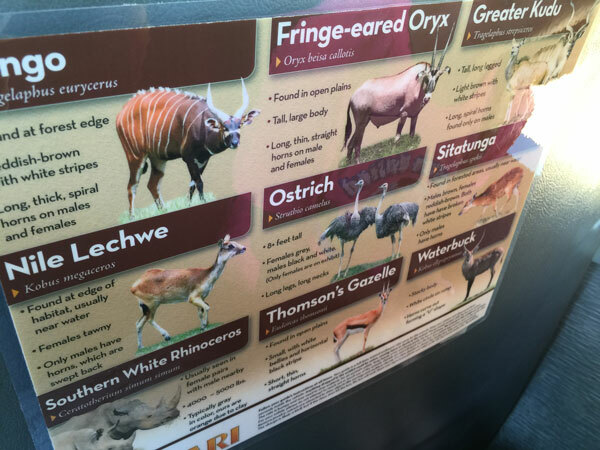 On the backs of each seat is a handy study guide of the types of animals we would be encountering. The seats are like that of a school bus. My wife and daughter sat on one side, and I shared a seat with my two boys. They had enough room to both look out the side. 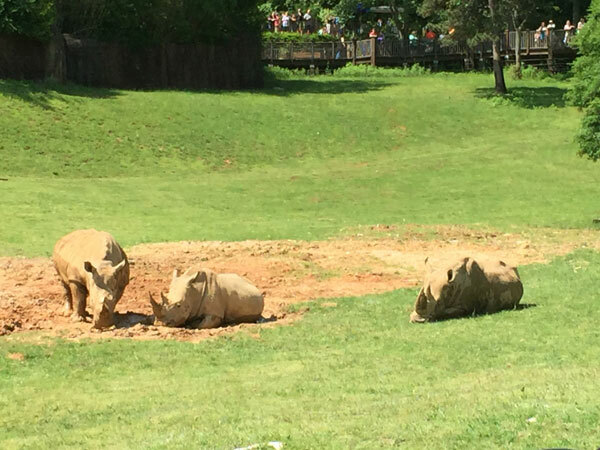 One of the coolest things to see during Zoofari are the white rhinos. Today they were wallowing in the mud and having a great time. It was amazing to see them upclose! Compare the previous picture with this picture which is what the general public sees! The muddy area is where the rhinos were in the previous picture. You can also see the track where the Zoofari vehicle drives. And yes, the rhinos are getting busy. We also got to see some of the elephants. As you can see, there is a moat and huge wall blocking the elephants from mingling with the rest of the animals. 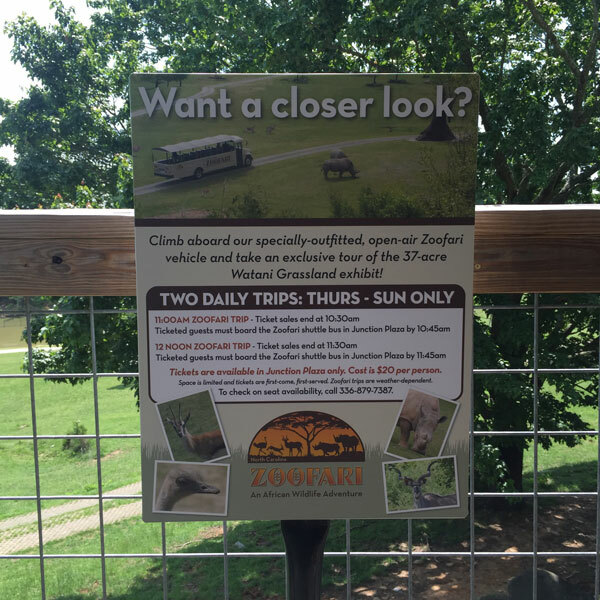 Typically, when viewing the elephants from the lookout points, you cannot see the wall so it looks like the grasslands continue into the area the Zoofari tour takes place. Here is another shot of the animals we encountered. You can see the overlook in the background. It is amazing to see these animals at ground level! Checking out the rhinos were awesome but nothing prepared us for the next animal encounter: this ostrich! 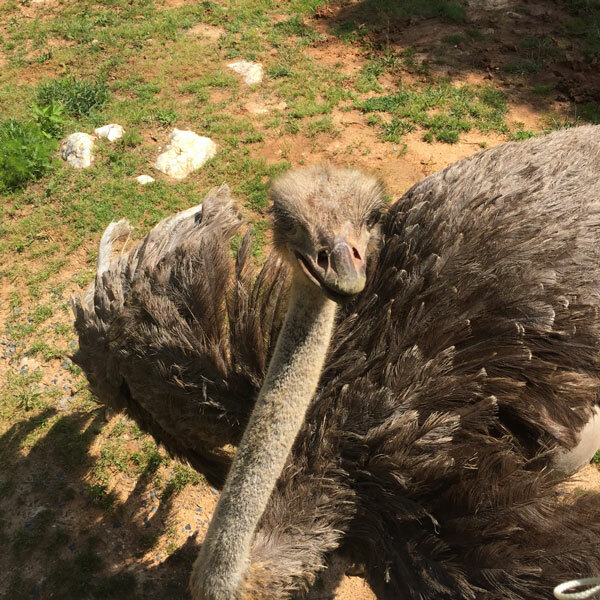 As you can see from the video, this ostrich walked right up alongside our vehicle and decided to poke his head up right next to where we were seated! Here’s how close it was to us! 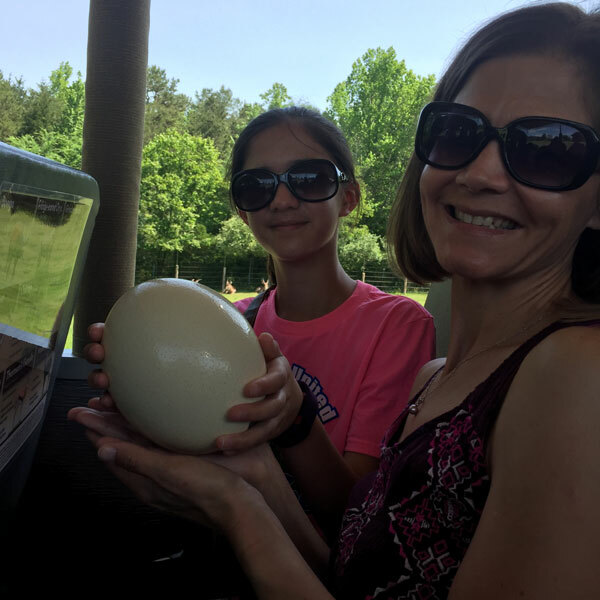 Our tourguide also passed around an ostrich egg for us to see. That’s a large egg! 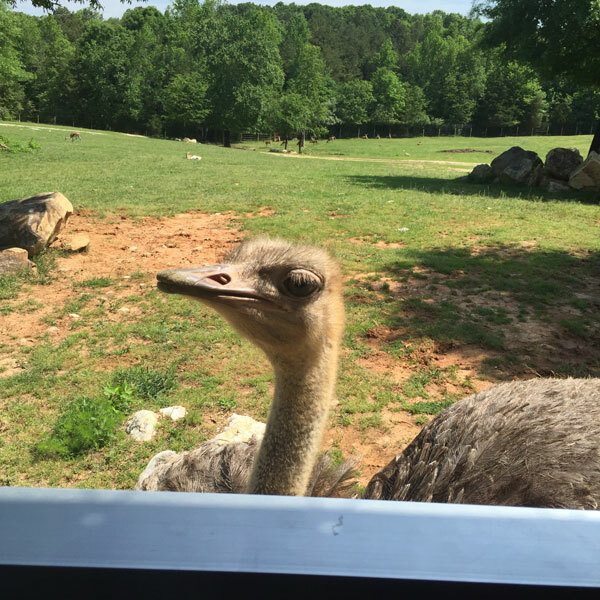 We ended up seeing all of these animals up close! 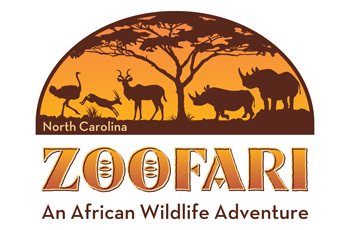 Zoofari African Wildlife Adventure is Amazing! We were so fortunate to get tickets for Zoofari today! 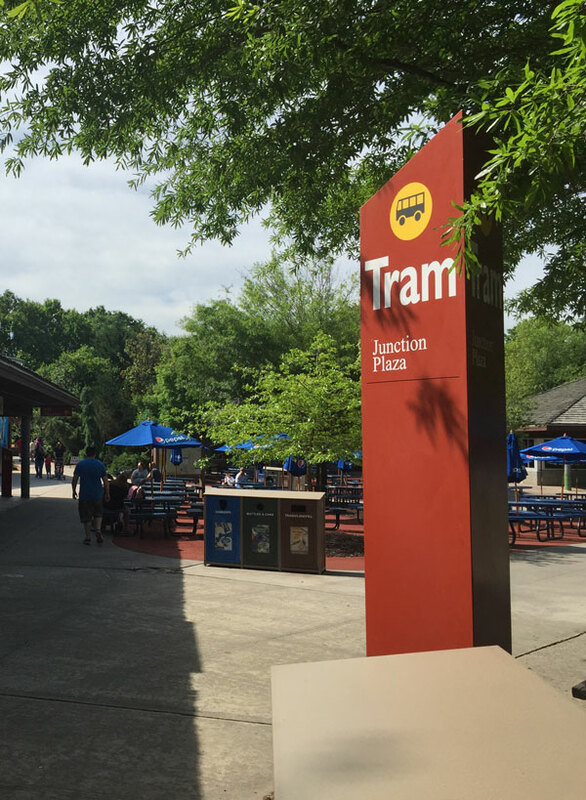 With only 2 tours per day you need to plan to get tot he zoo early and head straight to the ticket window. 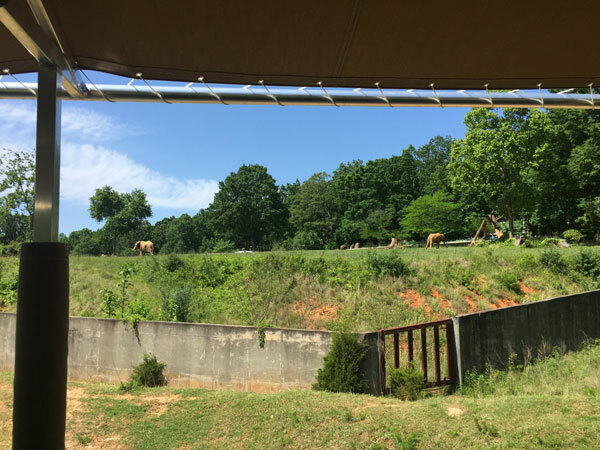 And despite a fairly steep ticket price of $20 in addition to the $15 ticket you already paid for the zoo, you really get to view the animals in a way you aren’t normally able to. ⟵View the U.S. 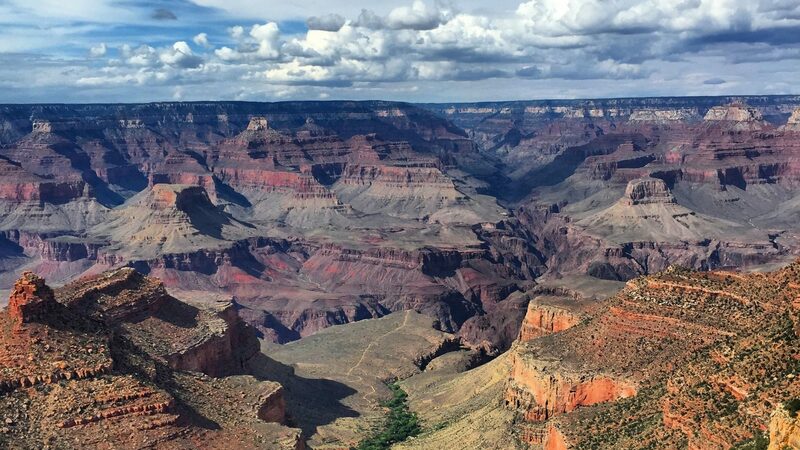 Postal Service National Parks Forever Stamps and Stamp Out Hunger May 14th!